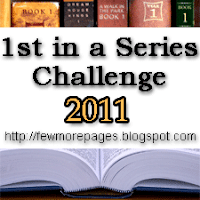 A Few More Pages is hosting the 2011 First in a Series Challenge. There are four different levels for this challenge, and I will be going for the top spot: Series Fanatic - that's 20 books. Click here to sign up!